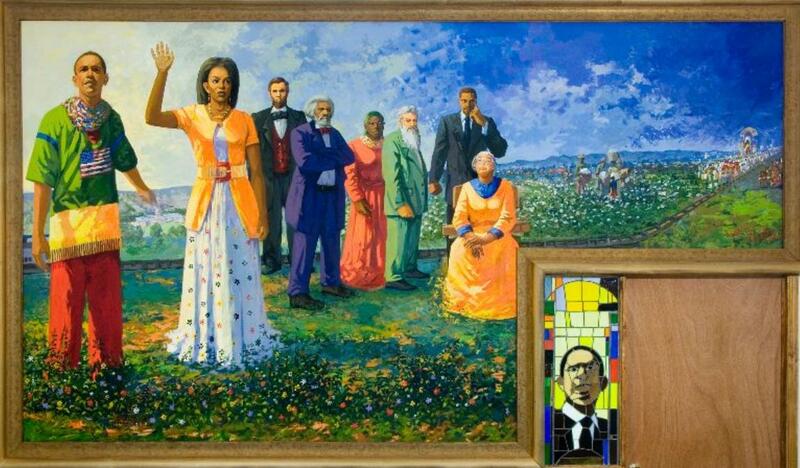 Ethiopian artist Mekbib Gebertsadik put the abolitionist Frederick Douglass alongside President Lincoln, the abolitionist John Brown, Malcolm X, President Obama and Michelle Obama. 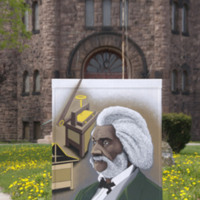 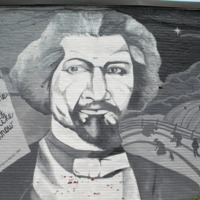 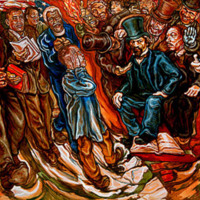 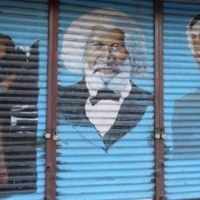 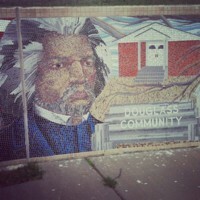 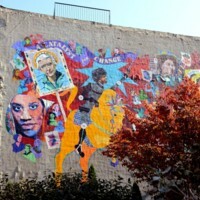 Titling the mural From Menelik I to Obama, Gebertsadik also placeed Douglass on a timeline of diasporic history that starts with Menelik I, the first Solomonic Emperor of Ethiopia in 950 BC, to President Barack Obama, the first African American president. 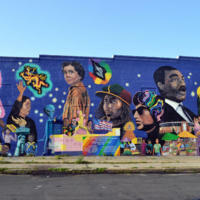 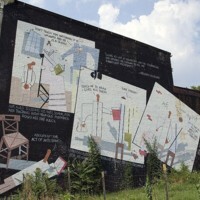 The mural is a few blocks away from the White House at the Gospel Rescue Ministries homeless shelter, acting as a symbol of hope for those passing through. 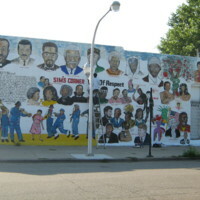 “Primarily, the clients we serve are African American and [the mural is] an inspiration to our clients of being able to dream” explains Earl Murray, Associate Director for Development and Marketing for Gospel Rescue Ministries.